A charge-off occurs when a debt remains past due for more than 150 days. The creditor then considers the debt as a loss and writes it off its books for tax purposes. A charge-off is reported to the credit bureau and appears on your credit report. It can prevent you from qualifying for a home loan, but all is not lost. There are certain steps you can take to improve your chances that a mortgage lender will extend credit to you. The Fair Credit Reporting Act limits the amount of time negative accounts can appear on a credit report. A charge-off can only remain on your report for seven years from the date of last activity. After that, the credit bureau must remove it from the report. Unfortunately, mistakes occur on credit reports often and outdated information isn't always purged in a timely manner. Double-check to ensure the charge-off hasn't expired. If it has, you can file a dispute with the credit bureau. The bureau then has up to 30 days to correct the error. A lender looks at your credit score when considering extending a loan to you. The higher your score, the better your chances for qualifying for the loan. But it doesn't end there. The lender also looks at the actual accounts on the report. A charge-off indicates that you failed to pay a bill and the creditor was left holding the bag. It's a very negative item to have on a report. Paying the amount charged off indicates your willingness to honor your financial obligations. You could also consider contacting the creditor and asking that the charge-off be removed from your report in exchange for payment, but the creditor is not required to do so. Keep in mind that many lenders will not issue a loan to a borrower who has resolved charge-offs and collection accounts on a report. Charge-offs and other negative items on a credit report convey to the lender that you are a higher credit risk than someone whose credit report includes no negative items. You may want to consider increasing the amount of your down payment. A larger down payment decreases the amount you will need on the loan, thereby reducing the amount of risk to the lender. It demonstrates a desire on your part to place more of your own money on the line. 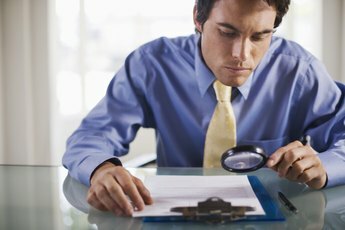 The lender will want you to explain negative items on your report, especially a charge-off. Was it due to a job loss or a major illness? Were you negatively impacted by a divorce? The lender requires explanation in order to understand the circumstances surrounding the charge-off. The goal is to ascertain if your prior credit problems are the result of specific events, or if you simply have a history of ignoring your financial obligations. Be prepared to convince the lender that you are now a responsible borrower and your past credit problems are just that -- in the past. 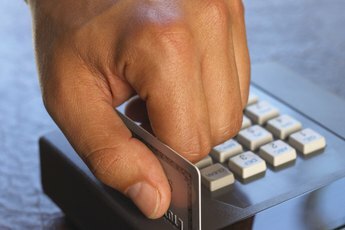 myFICO.com: What Are the Different Categories of Late Payments and How Does Your FICO Score Consider Late Payments? 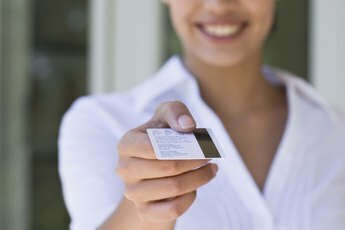 How Long Is a Charged Off Credit Card Bill on a Credit Report?